Group M’s Mindshare has won the Australian and New Zealand arms of Mondelēz International’s media account after a competitive global pitch. The local account is said to be worth around $40m, and involves working with brands including Cadbury, Oreo, Pascall, Philadelphia and The Natural Confectionery Company. Mondelēz International was previously known as Kraft Foods and until last year also owned Vegemite. Back in 2015, when the local account was said to be worth $28.1m, the brand called a global pitch. Carat managed to retain the account – one of its biggest at the time – with Simon Ryan noting Mondelēz is a great client to work with. Tom Slade, senior media manager at Mondelez International said the review looked at programmatic, transparency and e-commerce, and thanked Carat for its work on the account. “With our global review, we took a new look at our media buying to better equip our company for the future and address key changes such as programmatic, transparency and e-commerce,” he said. “We’re excited about this next phase of our digital transformation and are convinced that the partner we’ve chosen will help us in our journey. 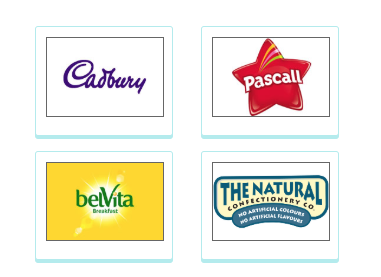 Mondelēz’s media move is the latest in a round of global and local FMCG account reviews. In June, global food giant Nestlé, which includes brands such as Uncle Tobys, KitKat, Milo, Nescafe and Nespresso, moved its media account from Group M’s Wavemaker to UM. In the same month, Procter & Gamble (with brands including Gillette, Oral B, Pantene Pro V, Vicks, and Herbal Essences) also ended its relationship with Group M – moving its media account from Mediacom to Publicis Media’s Starcom. In January, Mars’ global media review was revealed, as it looked to consolidate with one agency. Mars’ brands include M&M’s, Maltesers, Twix and Snickers. Late last year, Sanitarium’s media strategy and planning moved to independent outfit Slingshot, while its media buying remained with Carat. Eleven months ago, the parent company behind Birds Eye, Lean Cuisine and John West – Simplot – moved its media account from Initiative Melbourne to OMD Melbourne. Mindshare’s other clients include Foxtel, Volvo, American Express and NAB. Mindshare was unable to comment on its appointment. Not a great reflection on Carat and Dentsu considering these are three of their key pillars. I would think some key people changes will be in place over at DAN soon. The ongoing losses will not be acceptable.